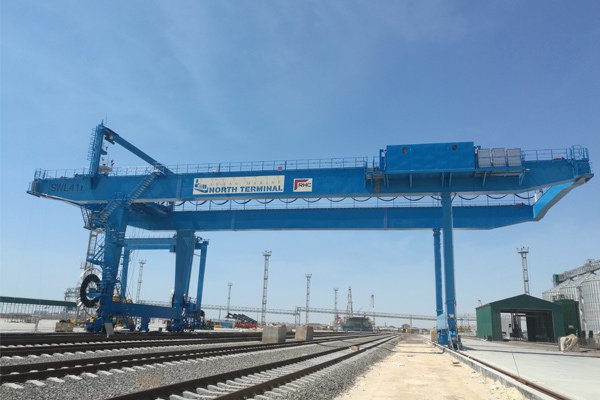 This gantry crane is for container handling used at railway freight yard. 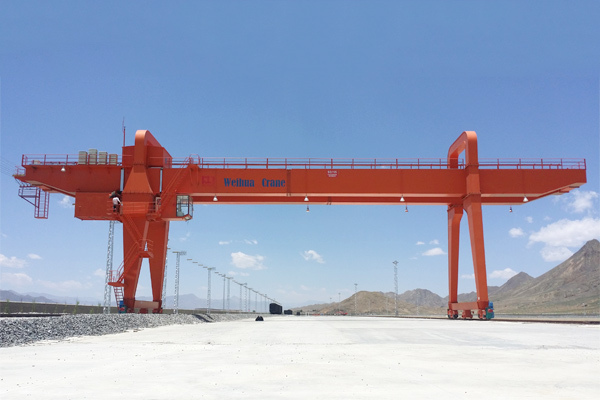 With the features of strong U-type gantry structure, double cantilever with rods, and light weight, this railway gantry crane has enought span and space for container handling with a 360° rotating spreader. 3. Industrial computer data analysis and processing system. 1. 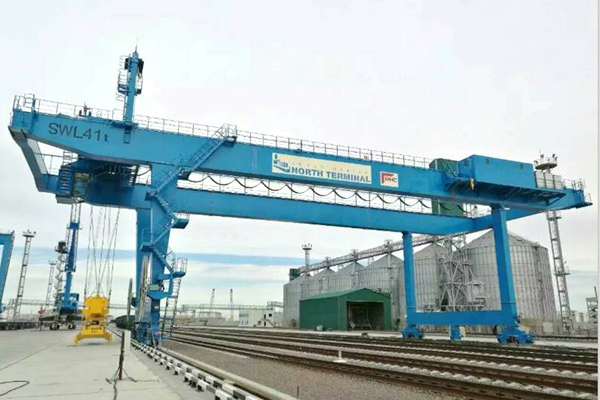 The container handling instructions are sent from the central control room to the working crane. 2. The driver cabine receives the instructions. 3. 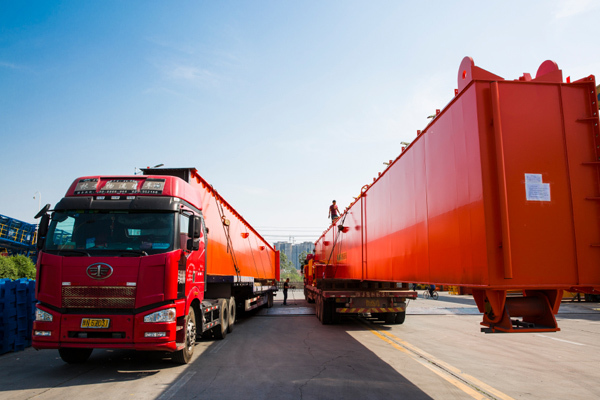 The crane driver starts the loading and unloading operation by the linkage table touch screen. 4. 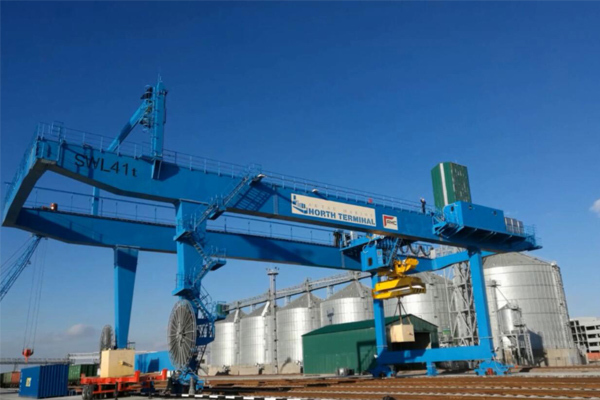 Touch screen real-time displays the spreader, crane and trolley position. 5. 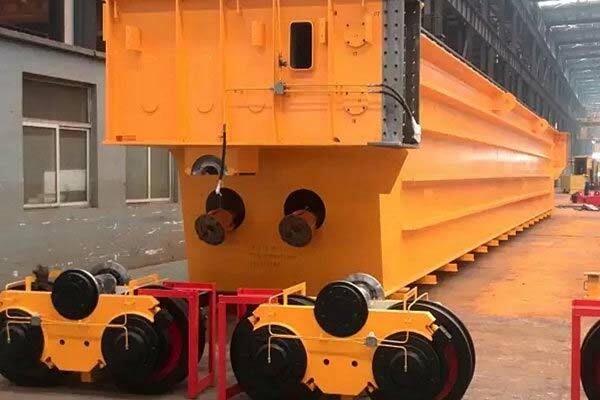 The control system temporarily receive plug-in jobs, while it gives priority to the ongoing job, then perform the plug-in job after finishing the current job. 6. 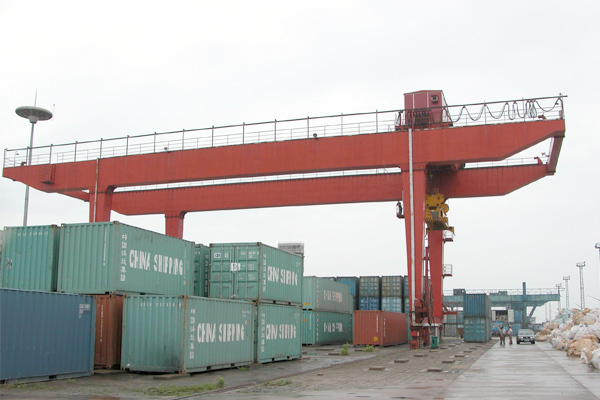 Precise container positioning technology. 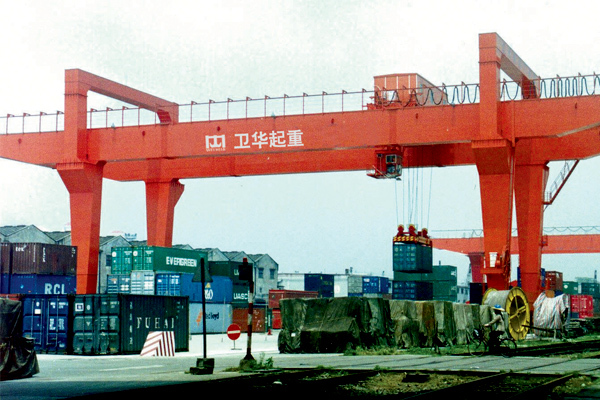 Machine vision accurately identify the location of container keyhole and read the container number, then intelligent control system adjust the spreader position and deflection angle to realize accuracy locking and precision container stacking. 7. 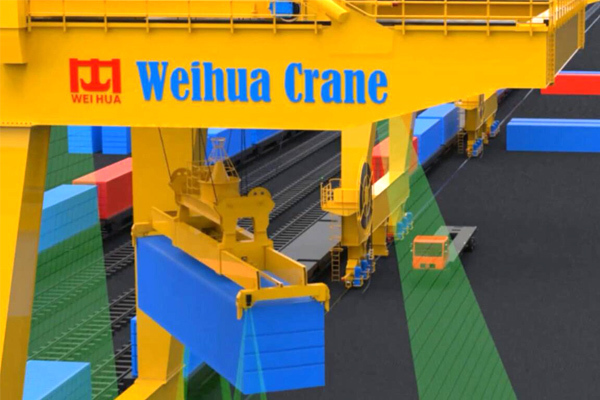 Linkage table touch screen real-time displays the spreader, crane and trolley position. 8. 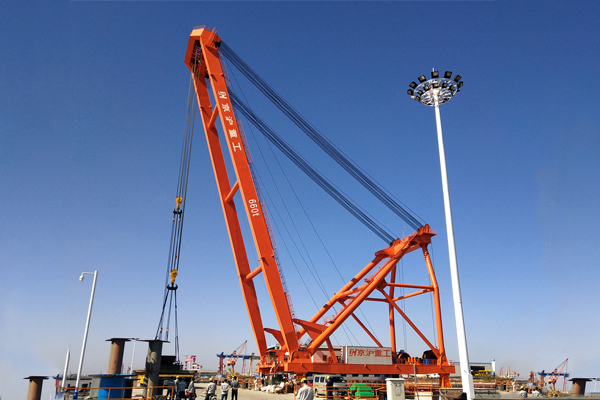 This crane is equipped with PDS system, if the crane position does not correspond to the indication position from the PDS system, the crane does not execute the command, and sends out the alarm information. 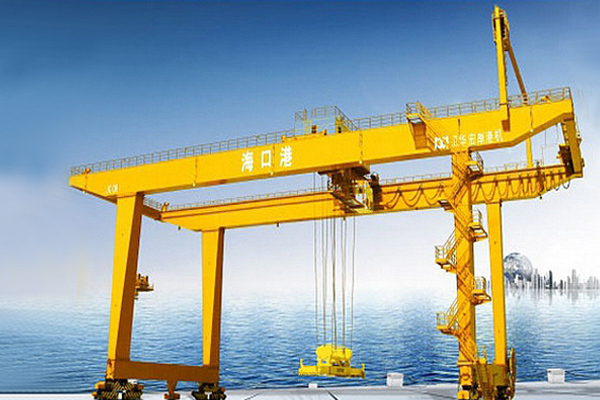 After the driver moves the crane to the system indication position, the crane continues to execute the handling command. 9. Programmed path planning and obstacle avoidance technology for optimizing path and obstacle avoidance. 10. 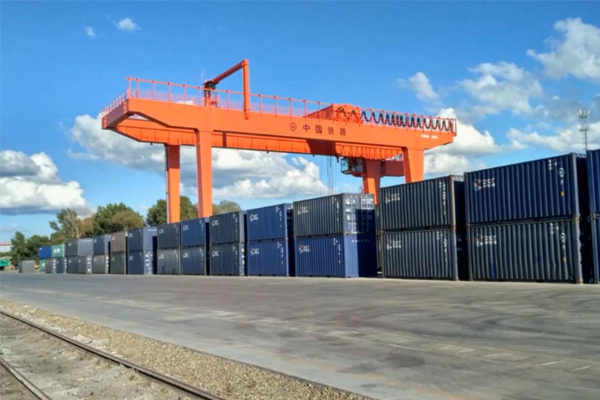 The use of infrared space scanning carry out real-time scanning of yard container storage situation, and updating yard stacking 3d database. 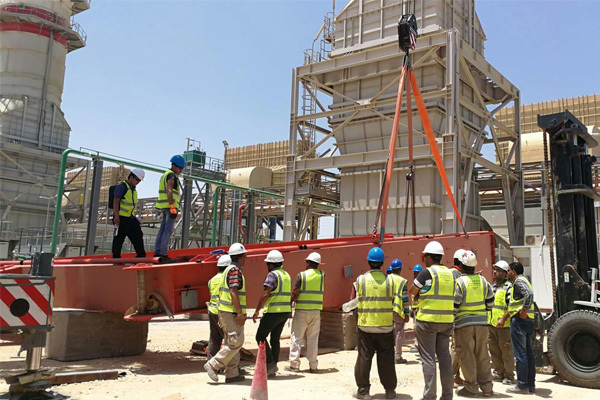 Spreader is controlled by intelligent program to run along the optimal path for intelligent obstacle avoidance to ensure safe working. 11. 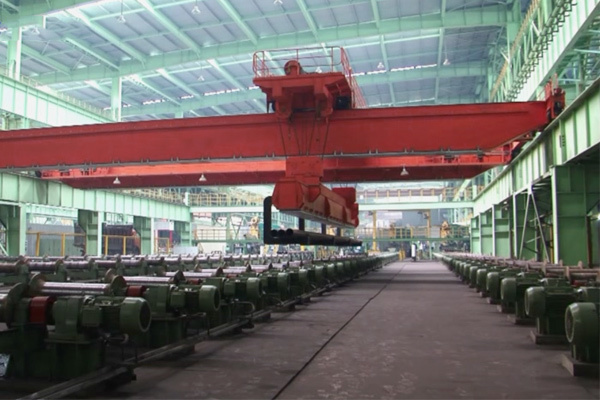 The central control room receives the completion information feedback of the crane and sends it to the database.